“First came the transition from trombonist to flutist. Then came the transition to Latin jazz. 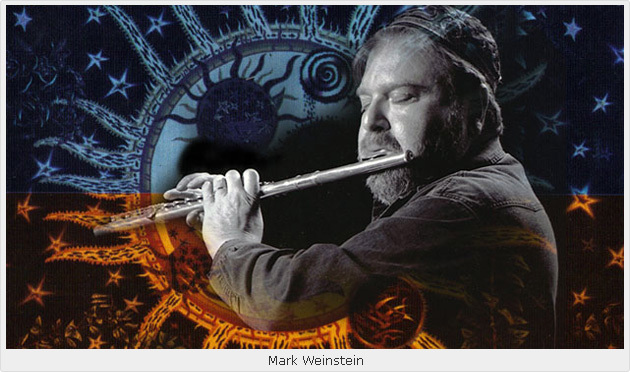 For Mark Weinstein, a confluence of worlds has become modus operandi.” Woodrow Wilkins, All About Jazz (www.allaboutjazz.com). TP: Congratulations on yet another splendid recording. By all accounts “Timbasa” has been well received. TP: How did the recording come about? MW: When I made “Algo Mas” I knew that I was “locked” into a folkloric thing, so I asked (drummer/educator) Bobby Sanabria to recommend a drummer and he suggested that I contact Pedrito Martinez. When I decided to move into more mainstream Latin Jazz I combined Pedrito with (pianist) Mark Levine, (bassist) Santi DeBriano and (drummer) Mauricio Herrera. MW: Right. The reason I am focusing on Pedrito is that “Timbasa” is as much his project as it is mine. He co-produced the recording and set things up in response to a funny challenge. I ran into him somewhere and he asked me when we were going to collaborate on another project. Sort of goofing on him I said, “Find me a piano player and a bass player who are as good as you and bring a couple of drummers.” I had no idea what he was going to deal me! The thing about Pedrito is that he is in a class all by himself. He has the “chops” but his “head” is enormous! Pedrito brought drummers, Mauricio Herrera and Ogduardo Diaz. Then there was this kid, a wild man with his hair sticking up in a million different directions, running around the studio. When he and I first met I was in the recording booth and I had all of my flutes on a stand. I remember being concerned that he was going to knock them down, so I said to him, “Hey man, be careful with the flutes!” and he replied, “I might be hyper, but I am a musician.” Then he went into the piano booth and started playing some serious Chopin! TP: What is his name? MW: Axel Oscar Lougart. He’s 23 or 24 years old and he represents a generation of conservatory trained Cuban musicians who have spent the same amount of time studying classical music, jazz and folkloric music. This is the phenomenon of the Cuban education system that we are getting as they use the U.S. as their launching pad. Speaking of another Cuban phenomenon, I am in the midst of making a recording with pianist, Aruan Ortiz, which is another funny story. Aruan sent out an e mail blast seeking work and his resume was a who‘s who of prestigious conservatories. I called him up and spoke to him about a Charanga album that I had originally intended for pianist, Omar Sosa. Aruan jumped at the chance and immediately composed four danzones and a bolero, two of which are modern, yet reminiscent of the music of Arcaño y Sus Maravillas and Israel “Cachao” Lopez. Aruan is another example of the amazing young musicians who are coming out of Cuba. But I digress. There was another guy in the studio standing quietly in a corner who turned out to be bassist Panagiotis Andreou, who happens to be Greek. As I was watching the musicians interact, I noticed something that I haven’t seen since trombonist, Barry Rogers was on the scene. The high degree of respect that he commanded from the Cuban musicians. The thing about Panagiotis is that he is a trained classical guitar player and plays a six string bass that goes down to the notes that only whales can hear. When he plays fast his fingers barely move. He plays with such comfort and the way he lays in the tumbao … It’s like Pedrito and all those young Cuban cats. They have so much confidence in each other that nobody has to lay things out. Everybody can play with whatever subtlety and nuance they choose. TP: Given Barry’s legacy, that’s saying a lot. How did things go in the studio? MW: We recorded and worked out all of the arrangements in the studio, with the exception of the complicated drum breaks, which Pedrito sang to the drummers. There are a couple of amazing things about the way the musicians played and interacted with one another. The most obvious being the complex percussion breaks. If you listen to the tune, “Timbasa,” you will notice that the Clave is being played on the high hat while the drums are playing the break, but there is also a clave popping in and out! What Pedrito is doing on the clave and in between the clave is so perfect that it’s amazing. TP: Given the generation gap between you and the other members of the band, did you feel out of your element? MW: Performing with these guys was like running with the bulls in Pamplona! I had to play very fast in order to stay out of their way, but no matter what I chose to do, they were right there with me. It’s such a blessing to play with such great musicians. TP: “Timbasa” has received very favorable reviews and a significant amount of airplay. MW: I recently had a conversation with pianist, Mark Levine about his album, “Off and On – The Music of Moacir Santos.” When I asked him how his recording was doing he said, “Great reviews, great radio play, no sales!” I wrote him back and said, “Hey man, sounds like you are talking about my record!” The recording is holding steadily and everybody who responded to me personally has said very positive things. Perhaps one of the highest praises I received was from (percussionist) Bobby Matos, who said it was “Fresh.” Not bad for a 70 year old musician! TP: Not bad at all! MW: There is no standard for me in my playing other than the absolute highest. TP: One of the things that I have always admired you is the fact that you are absolutely fearless. MW: My intention is to play the best music that I can possibly play. I have confidence in the fact that I can go into any rhythmic situation and feel comfortable. That’s something I learned from playing with Eddie Palmieri‘s band. It was the most swinging band in the world and I had to know where the ONE was at all times. Sometimes I would get lost, but I would always find my way back – not by counting – but by dancing! Because at the end of the day it’s dance music. That’s my attitude toward the music of the African Diaspora. I just want sit on top of that rhythm and play free. TP: For those readers who may not be aware of your “other life” you were a trombonist and a member of the original La Perfecta, the hippest and most swinging Latin band to ever grace a stage. You already mentioned a few of your future projects. Is there anything else that you are working on that we should know about? MW: I recently ran into Jochen Becker, the President of Zoho Records and he said to me, “If you want to get nominated for a Grammy you need to do a Tango album. I have just the guy for you.” The “guy” turned out to be none other than (bassist) Pablo Aslan. So I called Pablo and he agreed to write five tangos for me. After listening to the material, I thought to myself, wow, this is really interesting stuff but does it really need a flute player? I did the five tangos and tried to figure out, what goes with Tango? The answer I came up with was, (Cuban) danzones. After doing half an album of danzones I realized the Tangos and the danzones are beautiful, however, I am not so sure how well they work acoustically, or as part of an album. In the meantime, Aruan has been pushing me to finish the Charanga album. So I said, OK, but we have to do something contrasting, like Guaracha or Charanga, New York style … fast! … I want to cook! At which point Aruan asks me if I was familiar with the tune, “El Cumbanchero?” (Laughs). As it turns out, “El Cumbanchero” is the working title of the album, which is almost finished. I am still trying to decide what to do with the five Tangos. They are very traditional, which is a problem because I play “free” over very traditional material. TP No doubt you will figure it out. Uncharted waters are your cup of tea. MW: That’s true, but I didn’t have the comfort and familiarity with Argentinean music. Anyway, I think for the other five tunes I might want to put together a quartet and get together with some Argentinean jazzers. Also, I want to do another straight-ahead jazz album, because at the end of the day I am a jazz musician. I have always felt entitled to play anybody else’s music the way I saw fit, however, I always did it with complete respect for the music. That is what I have to offer as a jazz musician. I don’t play traditional music, I play jazz with traditional music. Now I can add the traditional music of modern Cuba to my repertoire (Laughs). TP: You have always been ahead of the curve; you put your money where your mouth is and your passion for the music has never wavered. Moreover, your body of work as a trombonist, flutist and leader is impressive. That’s a legacy to be proud of. MW: I want a legacy. I want to make a contribution. 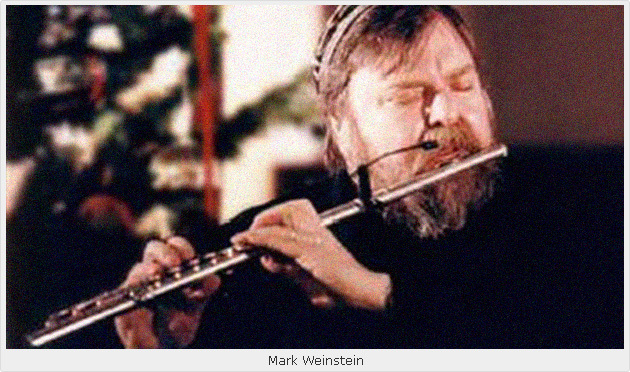 I want people to know that Mark Weinstein tried to play music. TP: You have certainly succeeded in doing that. And let’s not forget the countless upstarts you have collaborated with and inspired along the way. MW: I almost 70 years old and I feel like I am at the top of my game. TP: Once again, congratulations. Please give my best regards to your co-conspirators and Randy Klein of Jazzheads Records. I look forward to seeing the band perform in a live setting. MW: Thank you Tomas, I appreciate your support.